Item # 316992 Stash Points: 1,195 (?) This is the number of points you get in The Zumiez Stash for purchasing this item. Stash points are redeemable for exclusive rewards only available to Zumiez Stash members. To redeem your points check out the rewards catalog on thestash.zumiez.com. Let the world know you're a lady killer with the Samborghini Thot Breaker Enamel Pin. 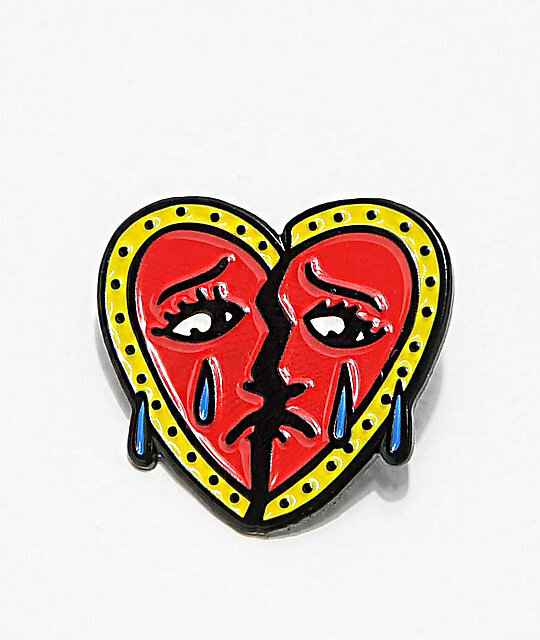 With the Graphic of a broken heart crying in red and yellow, this pin has a look all-its-own. Thot Breaker Enamel Pin by Samborghini. Red and yellow broken crying heart graphic.